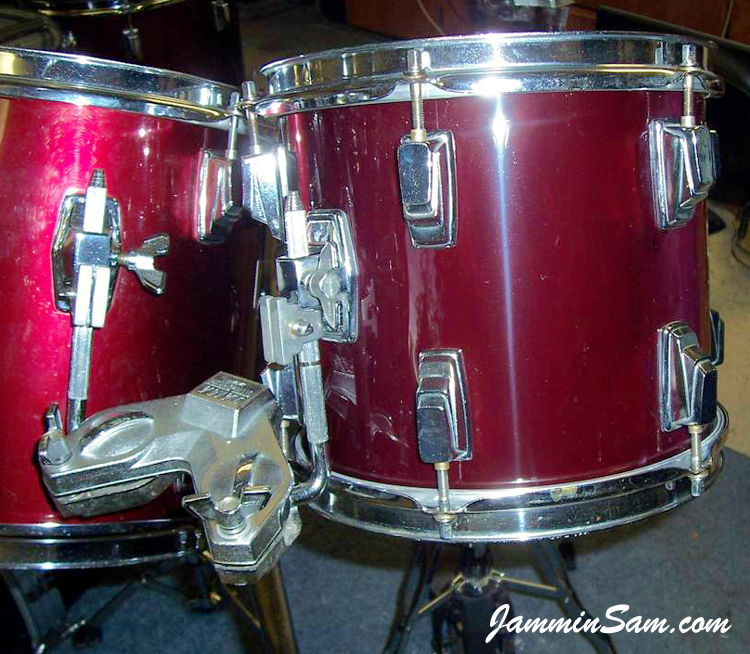 Pictures sent in (January 2012) by Dane LaBarr from Tampa Florida of his vintage drum set. Terrific work Dane! 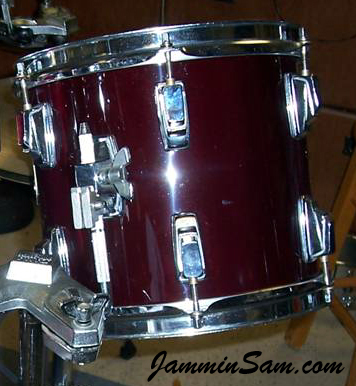 Here are the pics of my Tama 9 x 10 vintage tom project using your wine red wrap. I have to say I was very pleased with the process and outcome. The process of recovering my tom was very straight forward and easy. Your video was all I needed to complete the project in one afternoon. 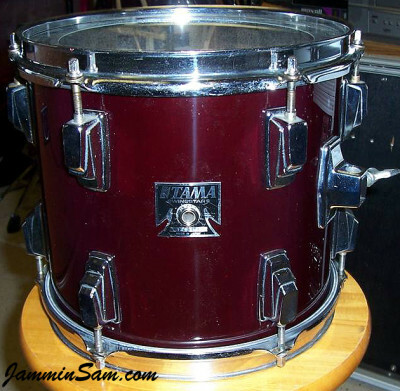 The finished tom looks great and is an almost perfect match to my kit. The pictures of the tom next to my other toms really doesn’t do it justice. I think it is the lighting in my studio as it depends on the viewing angle how well it matches. The tom does appear a tad darker than the rest.